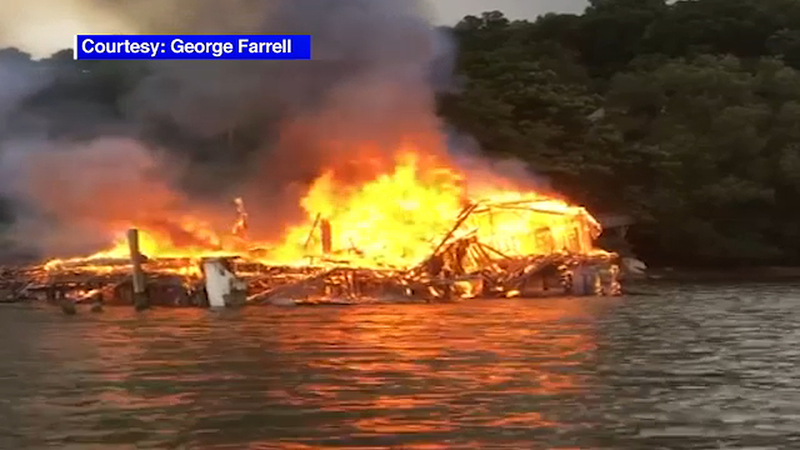 HASTINGS-ON-HUDSON, Westchester County (WABC) -- A large fire broke out at the abandoned Pioneer Boat Club in Westchester County. Police say three different Marine units arrived at the scene Sunday night. The fire was under control shortly after. The club in Hastings-on-Hudson has been closed for several years.